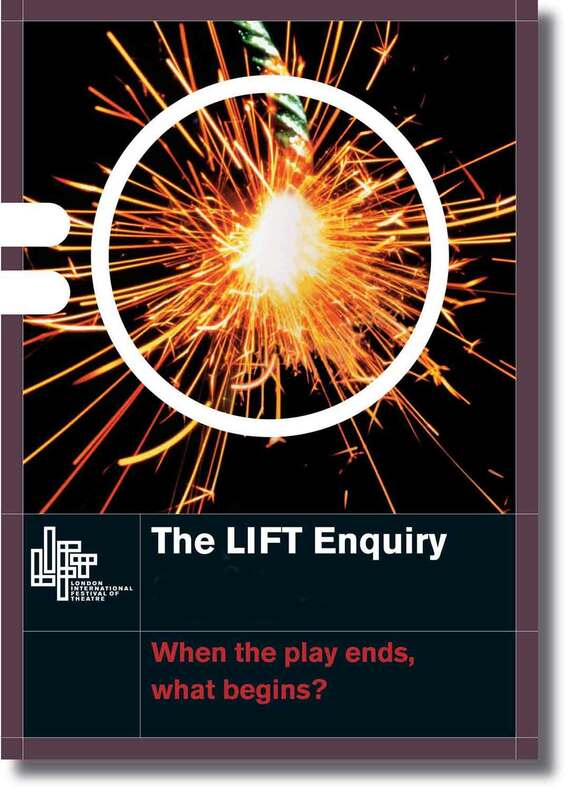 Lift (London International Festival of Theatre) is a a dynamic organisation that promotes cutting edge theatre. It came to us with a bold plan for a 5 year theatrical programme "a year-round public exploration of theatre in these times, worldwide". It needed a brochure that would say something about the theatrical experience and attract potential funding. Ideology came up with the visually exciting metaphor of a chemical experiment to create a spark; with theatre as a catalyst for change.